skyn ICELAND's mission is to promote a stress-free life, balanced with beauty and wellness. Focusing on de-stressing products and solutions for your breakouts, baggy eyes and dehydrated, dull skin this brand aims to help you look and feel stress free. 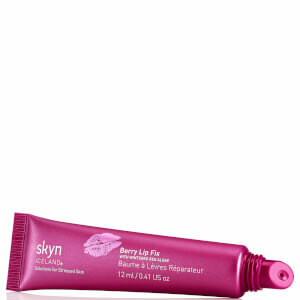 All of the products in the skyn ICELAND range only contain natural ingredients sourced from Iceland itself. Created by Sarah Kugelman, a beauty-industry veteran she suffered the physical degradations of unhealthy amounts of stress and retreated to Iceland to recuperate. Whilst there she discovered the wonders of the natural healing that the scenic island provides. She investigated the link between stress and skin issues and began to explore the natural skincare ingredients native to the remote country. 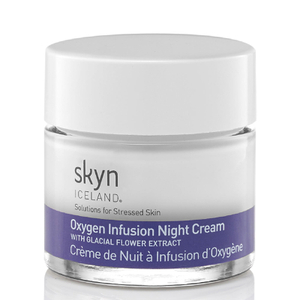 Incorporating these Iceland-sourced nutrients with top-of-the-line chemistry and cutting edge research into stress and physiology, Kugelman founded the first skincare company specially dedicated to the dermatological impacts of stress: skyn ICELAND. Symptoms of stress include accelerated aging, adult acnes, irritation, dryness and dull skin. 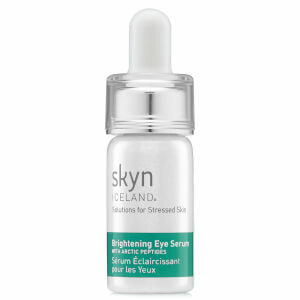 Skyn ICELAND products are formulated with a natural blend that replenishes the nutrients that stress depletes setting skyn ICELAND apart and making their products hyper potent. Whether it's the look and feel of your skin or your general health, stress is among the most insidious damaging agents. 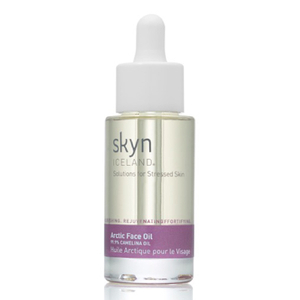 The skyn ICELAND brand focuses on taking the detrimental effects of stress at the dermatological level making their products truly innovating. 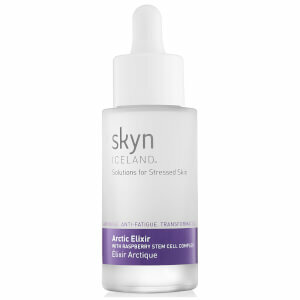 Over time, stress begins to reveal itself on your face in the form of wrinkles, shadowy eyes, and other symptoms of premature aging, the skyn ICELAND Artic Elixr is a powerful high tech treatment which combats these signs of aging, the ground breaking plant stem cell technology reduces stress-induced signs of aging in as little as three weeks. 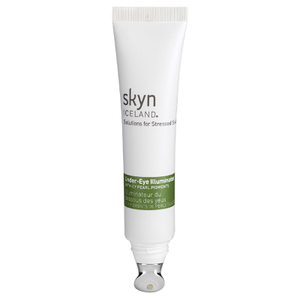 To reduce ‘shadowy eyes’ and that real tired look the skyn ICELAND Icelandic Relief Eye Cream relives stress in the eye zone, reduces fine lines and wrinkles by stimulating circulation and brightening dark circles. The full collection of skyn ICELAND Products are infused with the goodness of natural ingredients, each of the skin-friendly formulas without the harshness of chemicals, artificial fragrances, imitation colorants, and preservatives. Ingredients are sourced from Iceland's pure and potent environment, formulas contain pure molecular oxygen to deliver energy into the skin’s deepest layers to provide a youthful glow. Pollution-free Icelandic Glacial Water containing 6 essential minerals to hydrate and detoxify skin, Arctic cloudberry and cranberry seed oils "super fruits of the Arctic" rich in Omega fatty acids, vitamins and potent antioxidants provide a base for the skynICELAND collection. Other ingredients include a variety of Icelandic plants--from Arctic cranberry to butterfly bush and nutrient rich moss and kelp. 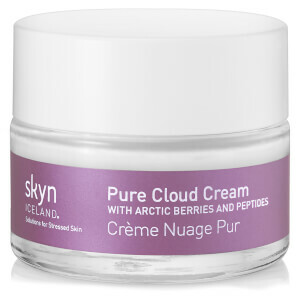 The skyn ICELAND Pure Cloud Cream is infused with vitamin A, vitamin B, vitamin E, and Almond Oil as well as Hydrolyzed Rice Protein and Oat Extract, to revitalize and heal your skin as it aids in the process of preserving collagen and ease the discomfort of stressed skin. Every product in this range is infused with the goodness of natural ingredients, skin friendly formulas without harsh chemicals or artificial fragrances and preservatives. Shop the collection for youthful, distressed skin.